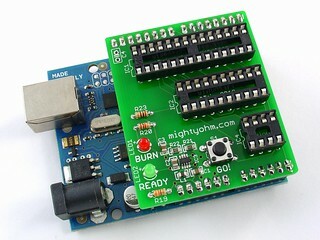 MightyOhm store back online, shipping kits now. 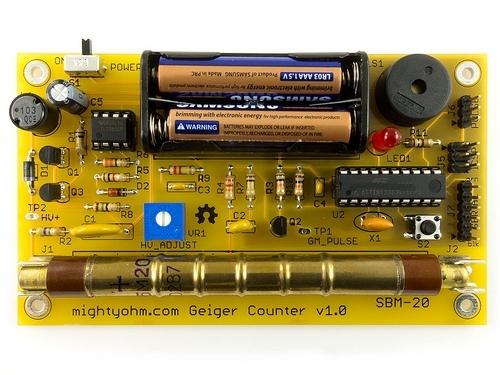 It took a while longer than I expected, but Geiger Counter and HV Rescue Shield kits are back in stock and shipping now. This week only, $99.95 gets you a Geiger Counter kit with sensitive SBM-20 Geiger tube and a clear acrylic case. Thanks to everyone who has been taking advantage of the reduced pricing on Geiger Counter kits this week, there are just a handful left in stock. If you’ve been holding out on placing an order, now might be a good time. There’s a fair chance that I’ll run out of kits before I close the online store at midnight tomorrow (CDT). PS: There are still some HV Rescue Shields in stock as well. Update: I have been asked if I am closing up shop permanently – hopefully not! I plan to reopen the online store after I move to Seattle, but my new day job might slow down the process a bit. I’ll post updates as I get settled.